Resin Crafts blog has a two part series on how to use tissue to cover an open space in a pendant. If you didn't have a chance to make this Halloween bracelet, don't worry! You can easily use this design with different materials! 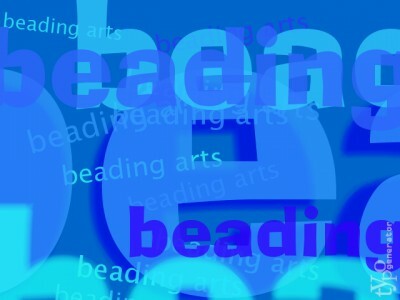 Catching up on some book reviews, Tammy finds one with tons of great pictures showing how to make bead and wire jewelry. Take a tour of some of the jewelry that was inspired by last month's painting inspiration.